Toronto is all about fashion right now, as we’re currently in the middle of World Mastercard Fall Fashion Week. Bloggers are becoming famous/notorious, and I’m still not sure what to make of The National’s segment last night regarding “The Rise of the Blogger.” The part that probably got me most was the voice over discussing how bloggers get “free” things, like products and hotel stays (we work for what we get, darn it.) And personally, its a difficult time for me to celebrate fashion, simply because the stigmas related to plus size fashion. I want to have fun! I want to celebrate my love for pretty, sparkley, innovative fashion too, but its hard to watch and want and know that you can never have. As an aside though, I am totally stoked to hear that Whitney Linen models will be decked out with Canadian proud Nella Bella handbags tomorrow! 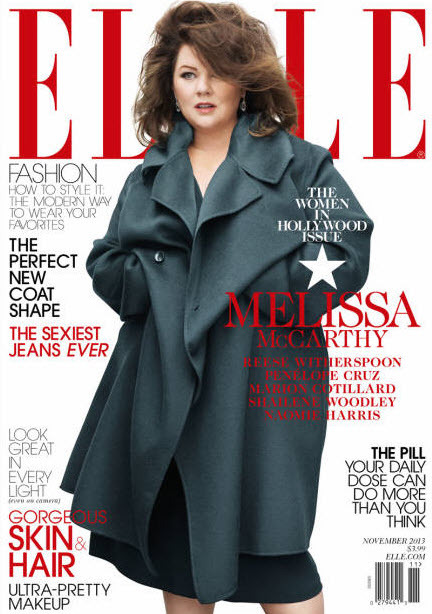 So here’s why I’m not impressed, yet equally happy with the ELLE cover of Melissa McCarthy. Leave it to a magazine cover to plague me with mixed emotions here! Let’s quickly look at the covers. All of them! I think the comment that gets me the most in this discussion is, “The cover is talking about the Perfect New Coat Shape, it’s the right season to wear one for a magazine.” And then I look at the swim-suit and bra issues of Woodley and Cotillard and wonder if those are in season too. It’s not to say that I’m advocating Melissa McCarthy to rock a swim suit. I don’t think she would ever wear one on a cover, simply because she’s an extremely classy woman who seems to be highly conservative in her fashion choices. I mean, look what McCarthy chooses to wear on the red carpet for pete’s sake. McCarthy is known for head to toe covering. I wish I could just simply show you my favourite McCarthy fashion image here, but I don’t want to get into trouble for photo copyright, so check out this amazing ensemble she wore back in February, for the premiere of Identity Theft. I’m totally impressed. Its all sparkley and flat out awesome. This one picture might mean that she’s adventurous too. I honestly cannot wait for the debut of her fashion line, I hope its soon! So yeah, to get back to the picture above. It’s not all coat, there’s a dress underneath from what I can tell. But WHY is the coat even there? Why can’t I see my hero in just the dress alone? If it was one random cover, it would be one thing. But I can count on one hand the number of times I’ve seen a fabulously plus sized woman on the cover of a fashion magazine lately. This unfortunately means that there is some responsibility for how the image is going to represent for the masses (ouch… no pun intended there.) We see Reese and Penelope on covers all the time, this is old hat, and they have nothing to prove here. Its really unfortunate that McCarthy does. So yeah, I’m conflicted. I’m not surprised that the coat was McCarthy’s choice, but I would wish someone would convince her of her beauty and that she doesn’t need to hide. I would have loved to see her in something from Michael Kors’ plus size Michael line instead. Sure its not uber chic, high-end fashion, but he has more bulls-eyes than misses in his dress line for curvy women. And perhaps I’ve just finally found the underlining problem that I have with the McCarthy cover. I love the picture. I even love the coat. But this cover is NOT about McCarthy, as she’s hidden behind it. I mean yeah, I love the bracelet on Cruz and Witherspoon’s dress is all kinds of awesome, but those items don’t hide the fierce woman wearing them. I want to see more of Melissa McCarthy and not the coat (nor the hair) that she’s hiding behind. There, I think I finally figured out my issue, heh. Stop hiding Melissa McCarthy! I Love Melissa Mcarthy…..right from when she was on Gilmore Girls! I have to say I am also conflicted – I think it is a great cover, great shot and she is awesome – but I do wonder why it is so different from the others…..
Something that I didn’t get into in the post above is that part of me feels like we should be flipping the question. I mean, it would make sense that the rest also chose what to wear and look like on the cover. So why did Marion Cotillard feel the need to wear only a bra on an ELLE cover? But regardless, there should have been some sort of balance between all covers imho. 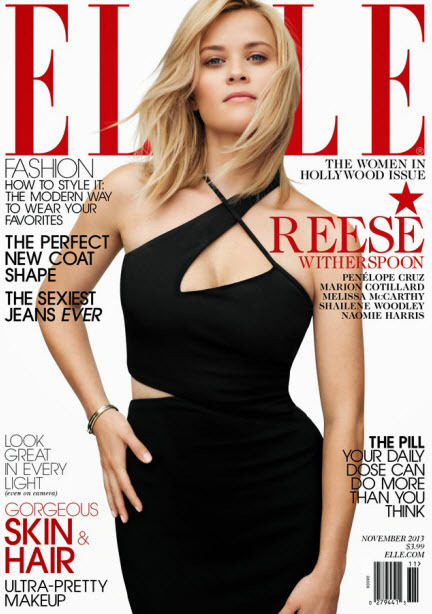 So torn about the Elle cover. While I am thrilled that she is on the cover, I hate that they think they had to disguise her body like that – coat season or not. Well Melissa chose the coat so can’t fault ELLE for that one, but there are other ways that the coat could have been worn to make it not look like they’re hiding her I’m sure. The way the coat is shaped in that photo is to give us a subconscious illusion that Melissa has the much coveted hourglass figure, which is also highly apparent in Reese’s photo too. I’d like to give them the benefit of the doubt and say it was because it is coat season. Like many women, I am a plus sized lady too and it is so sad that the clothing industry cater to size 0 and 2 women and all but ignores plus sized fashion. I find it quite shocking that the gorgeous Melissa McCarthy is “featured”?? but totally covered up in this coat. Sadly, this speaks volumes as to the industry’s thoughts on the “ideal” women. Your article is well written and thought provoking, well done!! Interesting thoughts. When I first saw the cover, I thought it looked great but it did not look like her. I guess it is the obvious photoshopping that is starting to bother me more and more about these magazines. Such a shame women can’t just look like themselves! Especially these women, who are really gorgeous. If they’re not good enough to look like themselves, then what about the rest of us? The whole coat issue is something that didn’t occur to me right away, but you’re totally right. Hopefully these things will start to change. You nailed it… why did she have to be wearing huge coat? What was the rest of the photo shoot like? More only seeing her eyes??? Thanks for the opinion piece. Hidden is right! WHAT?? 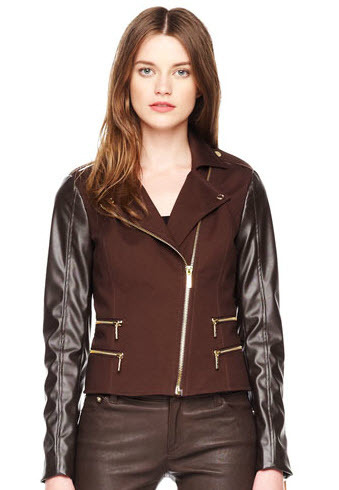 I love Melissa and especially because she has embraced her look, not to be hidden behind a frumpy jacket! Interesting observations. I think the cover shot looks more like a candid of Melissa McCarthy on her way to the shoot, than like a fashion shot. Maybe next time they’ll try something different.